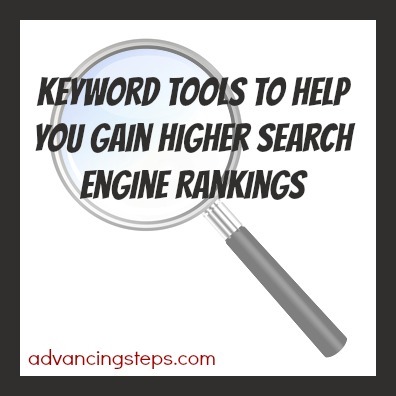 It’s important to use keywords in your blog posts to gain higher rankings with the search engines. With this in mind, I want to cover a few keyword tools that will help you identify those keywords. Developed for Adwords, this is free to use and is also fairly simple to use. You just enter in a word or phrase and some results will pop up. This tool will tell you how many local and global monthly searches there are for the phrases it displays, which can be very helpful if you want to increase local business. The tool will also tell you if there is high, medium, or low competition for each phrase. However, if you want to see the actual number of how many competing pages are using that phrase, you’ll need to Google the phrase. I’ve used Google Keyword Tool the most and feel very comfortable using it. Not to be outdone, the search engine Bing has a free and paid option for their keyword tool, too. You can use both or just use the one from the search engine you prefer. This is an old standby as far as keyword tools go. So, what makes Wordtracker so special? Wordtracker offers a 7-day free trial to their paid service for you to evaluate the system. As the name suggests, the Keyword Spy tool allows you to spy on keywords. You can enter in the domain of a competitor and see how much they’re spending on pay per click advertising. It’s also fun to just enter in your own domain and see what the tool says are your most popular keywords. You may want to play around with a combination of these tools to find the one that you like best. Write a few blog posts, based on the different tools suggestions for keywords and then keep track of how long it took you to place on the first page of the search results for each phrase. Also keep an eye on your stats and take note of where the traffic is coming in from each set of keywords. After you look at all of that information, you will see what the most effective tool is for you, and where you should be spending your time.